Manuel Benavidez is a case in point. He ran for the board and lost twice. Benavidez won a voting rights lawsuit last July, and had to launch another one in mid-December. The present school board is saying that the census data is wrong, and that most of the Hispanics in the district are undocumented and ineligible to vote. Students are affected by decisions that are made by people who cannot understand or comprehend the needs of a different culture. The lawsuit that is being placed on the district could be very beneficial to the community because it can help reduce the barriers for minorities to have representatives on these boards and councils. 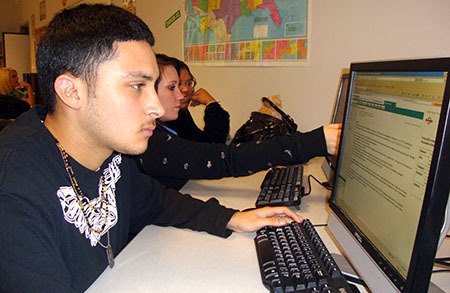 Photo: Brandon Berrios Latino students in Irving School District work hard, but have no representation.